This list includes doctors who had their practice in the early days of St. Louis Park. Some, like Dr. Darby and Dr. Blake, did not have offices in the Park, but are remembered by longtime Park residents in the days before doctors practiced here. Because there were so many, doctors practicing at the St. Louis Park (later Park Nicollet) Medical Center or at the Meadowbrook Building are not included. There is a lot of information to be filled in about these people, so if you have any further information, please contact us..
Robert L. Armstrong, Chiropodist, practiced at Miracle Mile over Synder Drugs from at least 1956 to 1962. 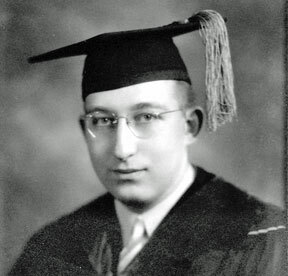 Dr. Rolland C. Beck, dental officer in WW II, came to St. Louis Park in 1945. Dr. G.C. Benson, dentist, worked from 3985 Wooddale, 1942-49 (retired in 1962). Dr. G.P. Bigelow worked from 6220 Minnetonka Blvd., 1949. The Blake Clinic consisted of Dr. James A. Blake, son James A. Blake, Jr., son Allen, and son Paul, who became a neurosurgeon. The Clinic office was in Hopkins, but Dr. Blake was very active in St. Louis Park. Dr. Blake started his practice in 1902. He died on October 28, 1951. Dr. Frederick J. Boyce was one of the area’s first Chiropractors, having studied in Palmer, Iowa. He lived at 2848 Yosemite and had his practice at 1607 Nicollet until he got burned out and moved his practice to his house. Dr. Boyce, who was born in February 1900, worked until his death on October 15, 1988. Dr. Glenn D. Braatz set up his chiropractic practice in the Excel Building in Miracle Mile in 1953. Braatz was a native of Wisconsin who graduated from Hopkins and took his training in St. Louis. He came to St. Louis Park after a stint in the Army during the Korean War. He met his wife at Miracle Mile, working at York’s Frocks. In about 1957 he moved to Joe Billman’s new Wooddale Professional Building, formerly the site of Lilac Way Mortuary. Dr. Braatz started out on the first floor but moved to larger quarters as he took over half of the second floor. He stayed at the Wooddale Professional Building until it was demolished in 1988. It was then that he sold his practice to Dr. Jeff Schramm and went into semi-retirement, returning to assist Dr. Schramm during the summer. Dr. Braatz was the first chiropractor in the Park, and when asked why there are so many chiropractors in St. Louis Park, he said that Northwestern College was producing interns who had to go somewhere, so many of them went to him to train. Dr. Braatz was an active member of the Rotary and also participated in the Elks downtown. Dr. Edmund Brown had an office west of the Waddell house on Excelsior Blvd. Dr. W.V. Buck, dentist, worked from 4107 Excelsior. This was a duplex with 3600 Huntington. He also owned the land across the street at 3601 Huntington. He sold the practice to Dr. William L. Medalie, Dental Surgeon, and the 3601 Huntington land to Martin Fowler, both in 1949. Dr. John T. Casey practiced dentistry at 3655 Joppa in the Park from 1940 to 1960, when he moved to California. From 1942-47 he lived on Brookside Ave. at Upland View. Later he moved to Joppa, near his dental office. The story is told that in 1960, Casey, George Hartmann, and two other men all saw the same doctor at the St. Louis Park Medical Center. The doctor told them that they had to have a pig valve placed in their hearts, which was a very popular operation for a short time. George asked the doctor why he should have the operation, and the doctor replied that there was a need for it. George said, “I see, you NEED to make a payment on your house, you NEED to make a payment on your boat, and you NEED to make a payment on your car!” George declined and lived another 20 years, but Dr. Casey and the other two men died within months of their operations. Dr. Adolph C. Chamberlain of 4052 Vernon was jailed in October 1962 for performing an abortion in Minneapolis. Dr. Elizabeth Craig officed on Lake Street, and was revered for her willingness to make house calls. Dr. R.W. Cranston was at 4801 Minnetonka Blvd. in 1933. Dr. Harry W. Darby served for 34 years as the Village Health Officer, from 1924 to 1959. He lived at 4624 W. 28th Street. The 1939 Directory published a piece he wrote on Communicable Disease Control, which discussed the symptoms of such diseases as Diphtheria, Scarlet Fever, Whooping Cough, and Infantile Paralysis. Dr. Darby lived at 4624 W. 28th Street. His private practice was downtown at 407-10 Masonic Temple Bldg., later called the Merchandise Mart Building. He retired as Village Health Officer in 1959 at age 78 with plans to operate his practice full time, which he was still doing in 1962. At his retirement, his job was split into two. Dr. Fifer became Public Health Officer (see below) and Dr. Harvey McPhee became Sanitation Officer on May 1, 1959. Dr. Darby died in September 1966 at age 90. The photo at right was published in a Minneapolis paper on April 3, 1959 (courtesy Minnesota Historical Society). Leonard Downing had a dental office at Lake and Hennepin. He and his family lived on Huntington Ave. just off Excelsior Blvd. Dr. Ellen Z. Fifer was appointed to the post of Public Health Officer on April 21, 1959. Previously, Dr. Darby had been both health officer and sanitary officer. Dr. Fifer received her medical degree from Columbia University and interned in Philadelphia. At the time of her appointment she was also finishing a Masters in Public Health at the U of M. Her husband William was also a physician, at the St. Louis Park Medical Center, a specialist in internal medicine. Dr. John B. Frost practiced in the physicians and surgeons building downtown. He lived at 3920 Yosemite in St. Louis Park. R.C. Henrickson, Optometrist, practiced above Snyder Drug in 1956-62. Dr. D.E. Hogan practiced at 3655 Joppa in 1949 – 62. In 1953, Dr. Conrad J. Holmberg, 4308 Mackey, became the Secretary/Treasurer of the Hennepin County Medical Society. W.L. Jefferies opened his practice at Excelsior and Zarthan in January 1955. Dr. A.E. Johnson took over as Village Physician in October 1918 when Dr. Tanner was drafted. Dr. Evelyn V. Johnson practiced at 3655 Joppa in 1942 – 1950. She graduated from the U of M in 1940 and covered for the Joppa doctors who served in World War II. Dr. Reinald G. Johnson, physician and surgeon, practiced in St. Louis Park from 1946 to 1990. Dr. Walter L. Johnson was a dentist, practicing at 4005 Vernon in 1945-57. In 1958 he built the combination apartment and office building at 4012 Utica at a cost of $237,000. He practiced until 1962. He and his family lived at 4171 Webster. Dr. H.O. Kallestad, dentist, ran his Lab from 4005 Vernon from 1962 to 1972. Dr. Richard Floyd Kindy, Optometrist, came to Park in May 1954, setting up his practice at 3655 Joppa. Kindy graduated from Park High and the University of Minnesota. His father practiced for many years in Minnesota. Kindy was known for the putting green he set up in front of the building on Joppa. He worked there until at least 1962. He later moved to Miracle Mile, and by 1974 he had offices in Minneapolis, St. Paul, Southdale, Fridley, Rosedale, and Northtown. Dr. J.M. Kistler presented a bill to the Village Council in December 1903 for the fumigation of the homes of Olie Anderson, Joseph Williams, and John Carpenter. Dr. Allen E. Kringlee, dentist, practiced at 3057 Kentucky Ave. in 1949 – 62. Dr. William L. Medalie, Dental Surgeon, took over the practice of Dr. W.V. Buck, 4107 Excelsior Blvd., in 1949. Dr. Medalie was from Chisholm, Minn.
Dr. Edmund P. Murphy, M.D.C.M., practiced from a house-turned-office at 5238 Excelsior Blvd. after WWII and into at least the late ‘50s. Dr. Fred Myer, 3838 France, was the Secretary/Treasurer of the American Dental Association. Dr. Karl W. Pleissner practiced from 3655 Joppa in 1945, after he was discharged from the Army. He was still there in 1949. In 1956 he was in Morningside. Dentist Irving Posnick began his practice in St. Louis Park in 1949. In 1976 his son Steven joined him in practice. Irv retired from dentistry in 1991 after serving and caring for his patients for 42 yrs. He was a pioneer in hospital dentistry for children and an active member of numerous dental organizations serving on many committees and leadership positions throughout his career. He was past president of the Mpls. District Dental Society, past national president of The American Society of Dentistry for Children, and lifetime member of the U of MN Alumni Assoc. and President’s Club, to name a few. In the 1960s he founded and ran Aqualand Pool Co. in St. Louis Park, a family business that operated until all his sons moved on to their professional careers 20 yrs later. Upon retiring from dentistry he became a certified golf club maker and founded Custom Clubs by Irv, a home business that combined his hobby of golf with his love of business. There is a story about a Dr. Ricker that takes place in 1887. Something about milking a cow for a sick little patient, only to have the cow object to his long-tailed coat and kick over the milk pail. Dr. Louis E. Schricker, dentist, practiced from the Park Theater building from at least 1942 until at least the early 1970s. Dr. Charles D. Simpson, dentist, practiced from 4005 Vernon Ave. in 1949; 4012 Utica in 1962. Dr. Archie M. Smith practiced in the Park Theater Building in 1939 – 1949. The Village used his services in 1951 to examine its policeman. Dr. Smith’s son also became a doctor. Dr. A.C. Tanner acted as Village Physician in 1917 and 1918 but he was drafted in October 1918 and was replaced by Dr. A.E. Johnson. Tanner was not gone long, as he was back as Village Physician in April 1919. In 1920, the doctor received extra compensation for dealing with contagious cases. He was also sent to check out complaints about pig sties in the Village limits. He was appointed again in 1921 and may have served after that time as well. Dr. Benedict B. Trach lived at 4700 Minnetonka Blvd. He was born on May 9, 1913, graduated from the University of Minnesota Medical School in 1937, and died on September 5, 2004 in San Francisco. His shingle is still in front of his house, and his daughter Bonnie still owns the property. Dr. John Watson served as Village Physician from about 1911 to 1917. Dr. Harold O. Westerdahl may have been Park’s first dentist. His office was in the Moldestad (1937) and then Park Theater Building (1942). “Westy” was captain of Park’s 1932 Champion Football team. The was a graduate of the University of North Dakota and the University of Minnesota Dental School. Dr. Richard Marion White practiced on Excelsior Blvd.